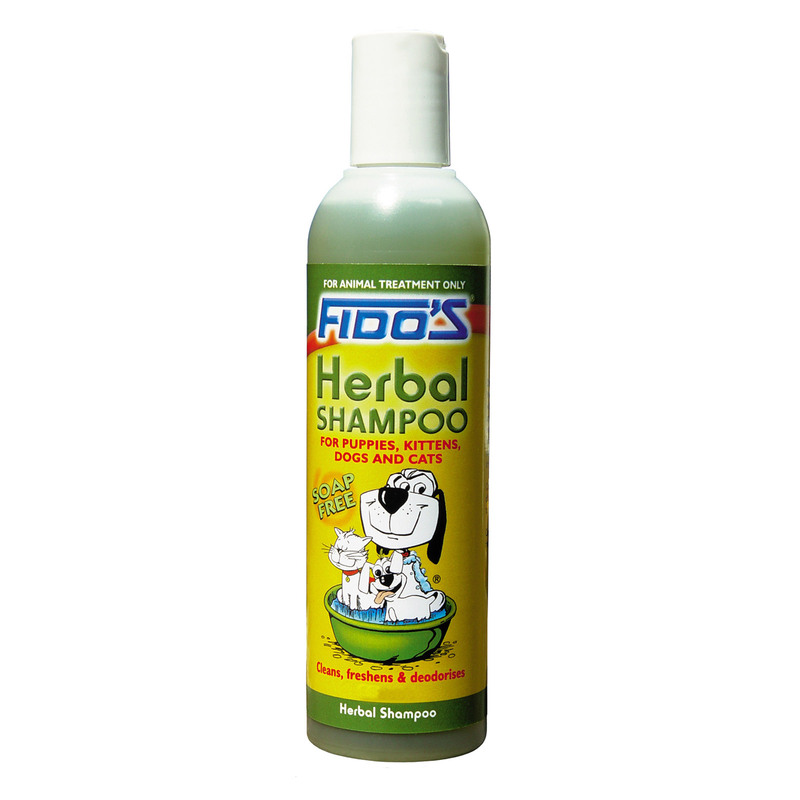 Fido Herbal Shampoo is a rich natural moisturising and conditioning shampoo for dogs and cats. This pH balanced low irritant shampoo cleanses and conditions pet skin. It leaves pet smelling and feeling good without stripping off body’s natural oils. The skin protective properties do not dry skin and keep skin healthy. The natural ingredients in the Fido’s Herbal Shampoo work on skin and remove dirt, grime and grease without harming pet’s skin. Along with cleansing, it also conditions leaving a pleasant smell. Wet your pet coat with warm water. Apply shampoo properly and spread all over the pet body. Massage to lather up and leave it for 5 minutes. Wash well with clean and warm water. Dry thoroughly with neat towel. Use twice a week for healthy glowing skin and coat. A unique mild shampoo that cleanses and conditions dog skin and coat. Developed with natural ingredients, it is safe and gentle on sensitive dog skin and fur. This pH balanced, low irritant rinse cleanses and nourishes skin. It is suitable to use with long term flea treatment products. Fido’s Herbal Shampoo is safe for use on dogs, cats, puppies and kittens. Works really well and is very gentle on skin. It is so gentle on my pet's sensitive skin that it's been a while that I saw my pet itching his body. Have tried so many products that claim to be natural but don't work. This product, surprisingly, works just perfectly for him. Good quality shampoo with decent pricing.